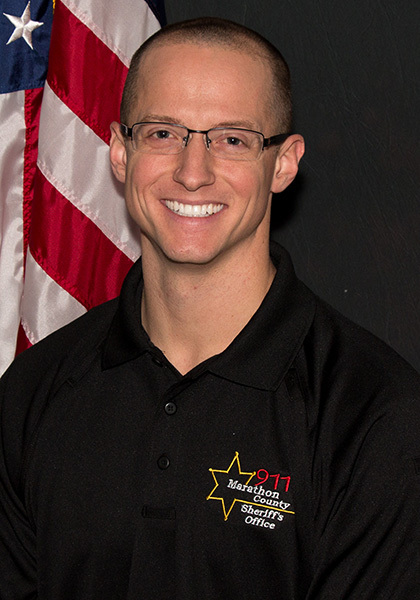 Ryan Flowerette started with the Marathon County Sheriff’s Office on December 17, 2018 as a 911 Communications Officer with our Communications Division. Ryan is a native of Stevens Point and a graduate of SPASH in 2005. After high school, Ryan enlisted in the United States Marine Corps serving from 2006-2010. Ryan continued his military service by enlisting in the United States Army Reserve. Ryan has experience working as a 911 Communications Officer. He recently was working as a 911 Operator for the City of Saint Augustine and Saint John’s County Sheriff’s Office located in Florida. We are fortunate Ryan wanted to leave the warm sunshine for Wisconsin winter. Welcome back home, Ryan. Glad to have you as part of our Communications Division.